Aslan’s highly-readable book is not a mere history of religion but a thoughtful look at how we, throughout history and prehistory, have consistently humanized our gods/God while reaching for the divine. Drawing from psychological, philosophical, theological, historical and other sources he explains why this happens, from earliest religious beliefs to the present. It’s fascinating. Aslan is a religious scholar as well as a believer whose personal spiritual search has led him from Muslim to Evangelical Christian to Sufism. His scholarship is on full display in this volume, which has almost as many pages of bibliography and notes as it does regular text. In fact, I highly recommend reading the extensive notes. I set two bookmarks so I could read the related notes right after finishing a chapter. That added significantly to my appreciation. Note that this is not a book for those looking for confirmation of their personal religious beliefs. Also note that if you go looking for corresponding language to passages he cites in your King James Bible you won’t necessarily find them. His sources are much older. However, if you are interested in the evolution of religious beliefs and haven’t already read extensively on the subject this is an excellent place to start. 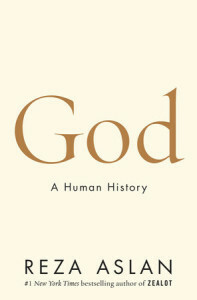 The humanized god has been a part of religions from their earliest times. Aslan starts with the earliest evidence — cave paintings — and moves forward through history. For more about Reza Aslan and his books click here. Wish I’d read/reviewed this book a month earlier — it’s the perfect Christmas gift for mystery lovers. Several of the six stories in this short story collection by the incomparable P. D. James have holiday themes. All reflect her brilliant, literary style. I usually pass on short story collections, but when it’s P. D. James an exception is in order. These stories, the oldest of which dates back to 1973, did not disappoint. They just made me miss this legendary writer more. They aren’t all straight-forward whodunits. Sometimes you know the who but not the how or why. Sometimes the bad guy gets away with it. You can always count on James to bring you fresh takes on one of the most popular genres in fiction. Doesn’t really count here, but you can count on people dying from unnatural causes. 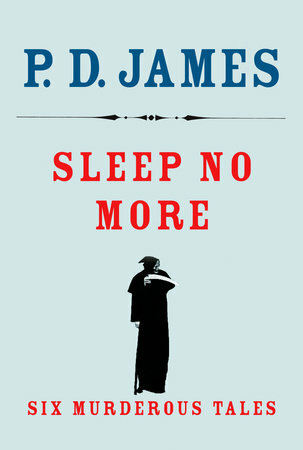 If you are unfamiliar with P. D. James (no one should be), learn more about her by clicking here. Sorry it’s Wikipedia. Don’t know why her estate hasn’t dedicated a website to this formidable woman and writer. Benton’s saga about the perils and prejudices besetting an unwed mother in 1880s Pennsylvania leaves a lot to be desired. There are far too many McGuffins driving the plot, a cast of potentially interesting yet underwritten supporting characters, and more about lactating than I ever expected to find in a novel. I get it: life was hard to impossible for unwed mothers over a century ago. Still is in some parts of the world. Yet when the back-of-book notes Benton includes expounding on those problems are more interesting than the story itself, something is askew. The plot is revealed through journal entries by the title character and includes a lot of philosophizing, which is actually more interesting than the unrelieved dreariness of the plot. It’s one bad thing after another; and actions and motivations don’t always make sense, not only for Lilli but for most of the people impacting her life. Benton notes that she wrote this book while nursing her own child, and lactation is a major plot device for the novel. However, breast developments consistently outweigh character development. It just gets tedious. 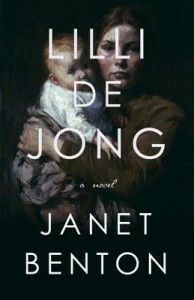 All that said, you could not make a stronger case for chastity until marriage than Lilli de Jong. It’s the ultimate cautionary tale. Unfortunately it was written in the wrong century. Lilli’s fiancé has decided to leave their rural village to seek employment in the steel mills. He will send for her when he is settled. Unfortunately, he leaves her a parting gift that makes Lilli a pariah to pretty much everyone. For more about Benton and this novel, click here. In typical Maguire fashion, this enchanting novel creates an imaginative backstory for the toymaker in E. T. A. Hoffman’s Nutcracker. However, it is so much more than that. The main character’s journey from fairy tale (or hallucination) to reality makes him an outlier with a unique way of seeing others but a limited ability or desire to “see” himself. The child Dirk dies but comes back to life — a life that is vaguely haunted by two characters: one representing German romanticism, the other Hellenic mysticism. Dirk has little to no interest in them and rejects the few wisps of memories that waft through his life. However, those he encounters care very much, particularly Doctor Franz Mesmer (the real originator of the idea of hypnotism or mesmerization). Dirk is not presented as a person of action, passion, or past. He is not necessarily a likable character yet you keep hoping for that moment when what is hidden becomes seen — not so much by others but by Dirk himself. 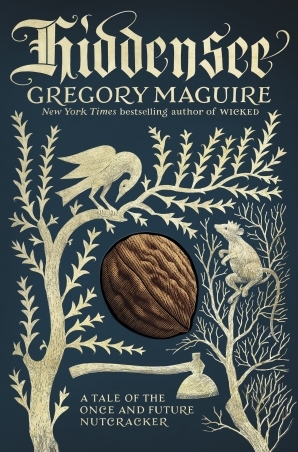 The prose is even more rich and lyrical than usual for Maguire, and the frequent music references offer more than just a nod to Tchaikovsky’s famous ballet. It’s a lovely, romantic read — achingly sad yet ever hopeful. Dirk lives in isolation and poverty with a man and woman deep in the woods. One day he is taken into the woods by the man, who intends to kill him. However, while Dirk is chopping a tree it falls on him, killing him. Only he isn’t dead. But something might have happened.